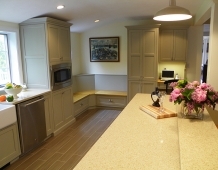 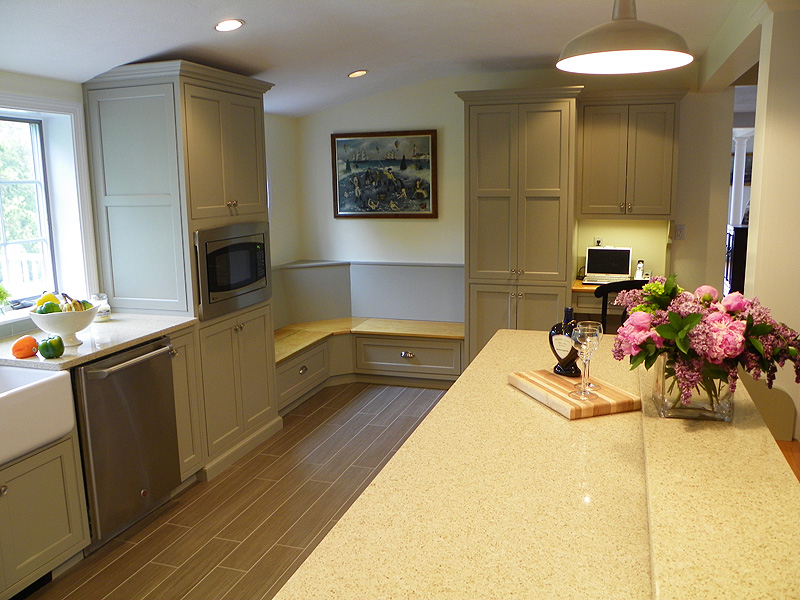 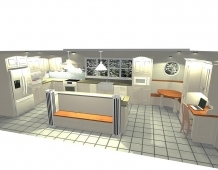 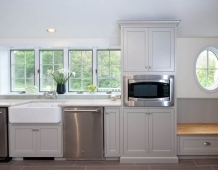 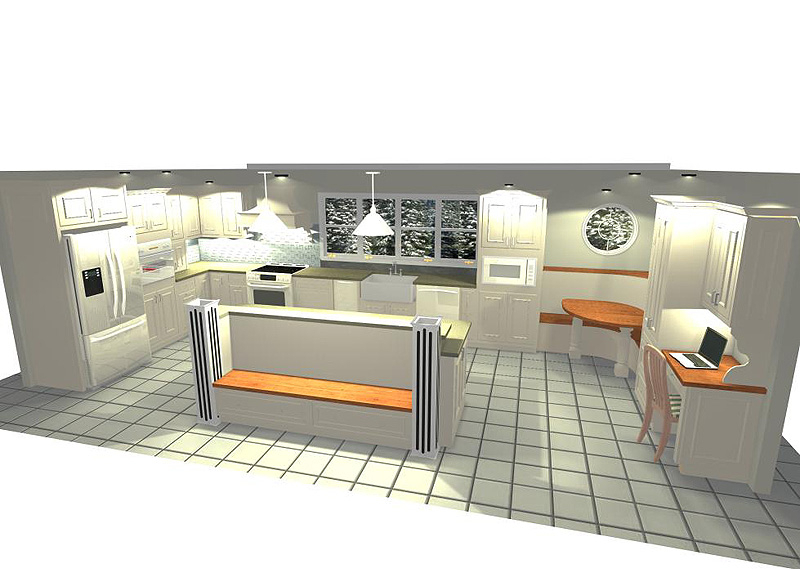 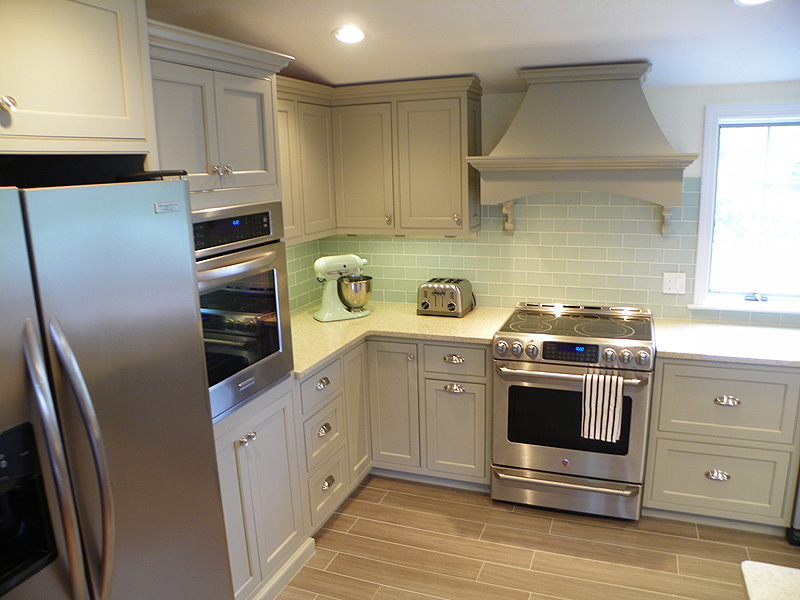 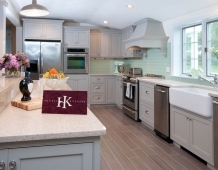 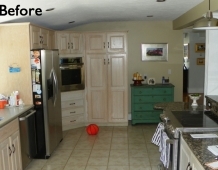 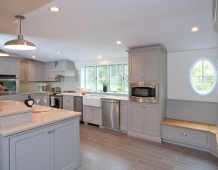 Renovisions designed a functional and fabulous floor plan for this Duxbury, MA family. 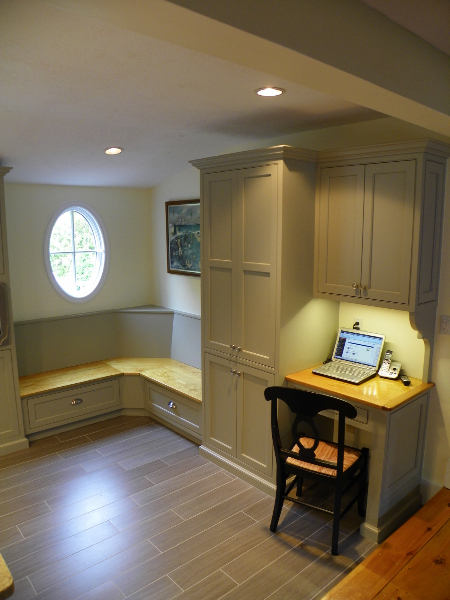 Our clients desired a kitchen remodel that incorporated custom built-in banquette seating with round table,storage-toy box bench and computer station, all with wood top surfaces finished to match the existing wide pine flooring of the adjacent family room. 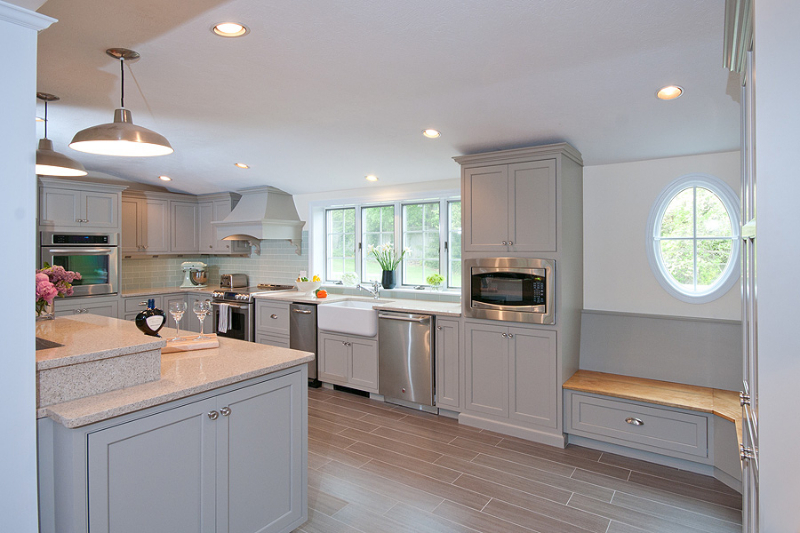 Adding an oval window not only let in more natural light but also created a stylish ships’ quarters look to their seaside home. 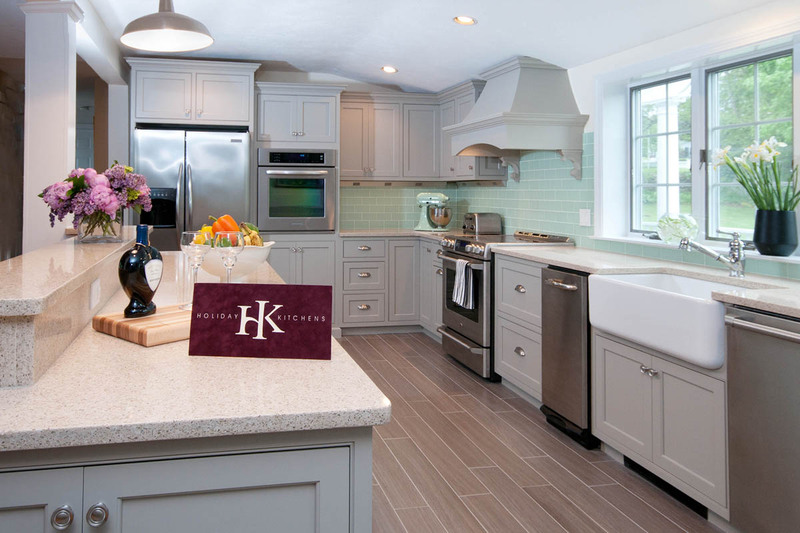 Choosing No-Maintenance Silestone Quartz counters in ‘Ivory Coast’ and Crossville porcelain wood-look plank flooring in ‘Barn Grey’ were choices that are durable, practical and elegant. 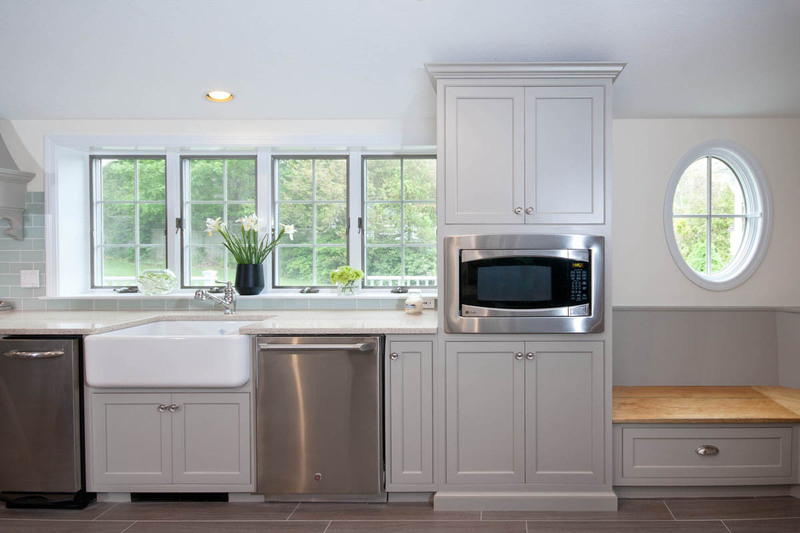 The Rohl Farmers sink provides a stylish yet smart option to prepare meals and clean up after their growing family. 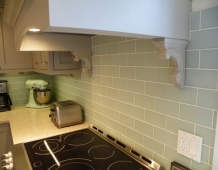 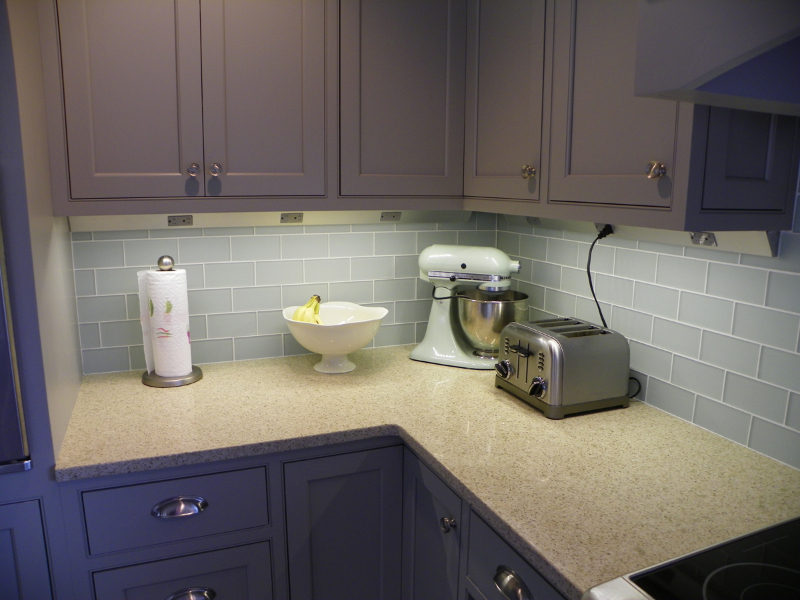 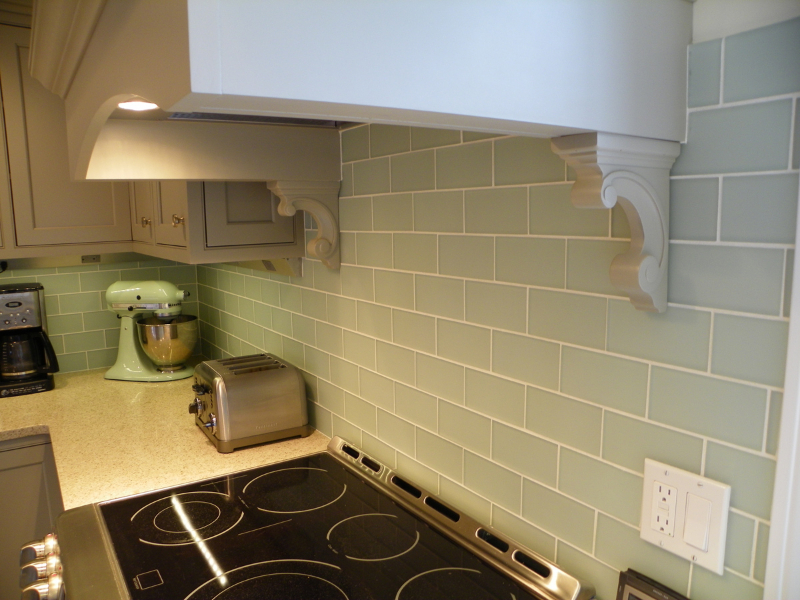 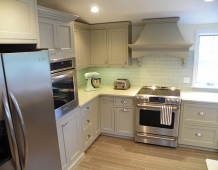 The custom curved hood in matching soft grey paint finish with simple yet elegant decorative corbels looks stunning next to the sea glass subway backsplash tile. 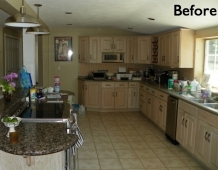 The ultimate goal was to create a space that reflected better functionality, style and more storage. 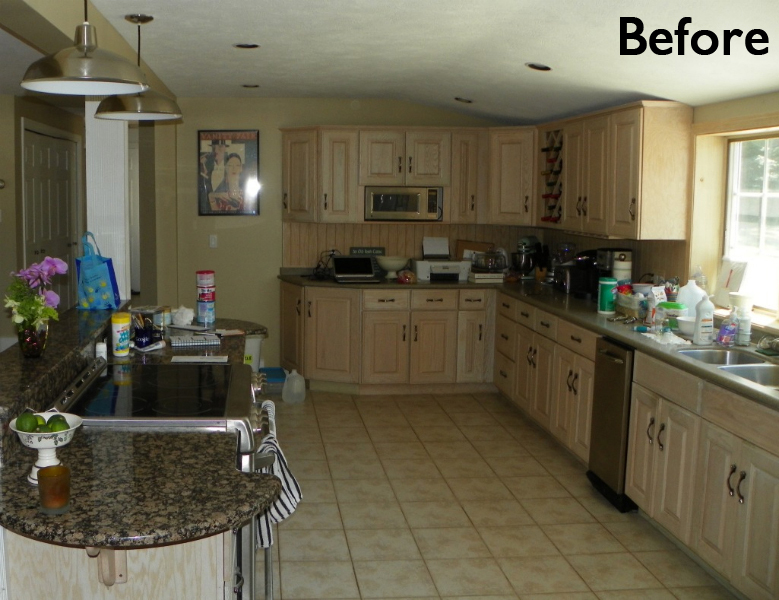 The Renovisions Team was successful at completing their goal and exceeded their clients’ expectation at this waters-edge property.